Alternate ROOTS is a network and community of artists and cultural organizers who, for almost forty years, have worked at the intersection of arts, activism and community. 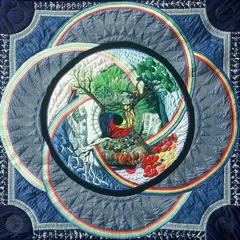 ROOTS’ member artists create original work and Alternate ROOTS provides programs, projects, and activities to support their work. ROOTS is a nationally recognized regionally focused non profit organization, serving artists in the fourteen states of the South that historically fell below the Mason Dixon line. What is the ROOTS Artability Scholars Project? 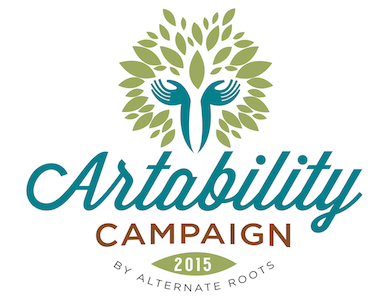 Artability is a project of Alternate ROOTS providing travel subsidies and scholarships to artists with disabilities to attend ROOTS’ seminal event, ROOTS Week: Annual Meeting and Artists’ Retreat, August 4-9, 2015, Lutheridge Conference Center, Arden, NC. Who is eligible to apply for scholarships and subsidies? 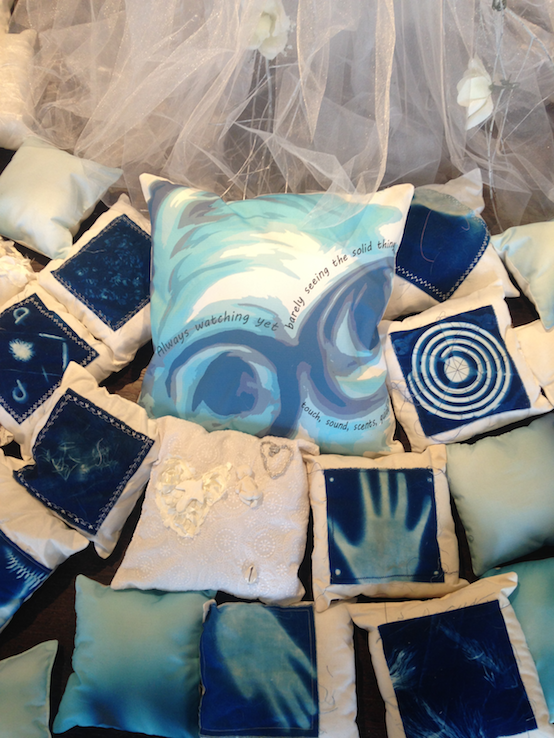 If you are an artist with a disability interested in attending ROOTS week, then Artability is for you! Scholarships and subsidies will cover registration costs, and where possible, subsidize travel to Arden, NC. ROOTS Week registration includes all meals, room, and programming. Where needed, Artability can include support for a caregiver or interpreter. Where is ROOTS Week taking place? Lutheridge Conference Center, 2049 Upper Laurel Drive, Arden, NC 28704. ROOTS Week begins Tuesday, August 4 and ends mid-day Sunday, August 9th. How do I become an Artability Scholar? Here’s a short application for you to complete. Our Collective Accessibility team will review applications and recommend recipients to staff. Scholarship applicants will be notified by July 17, 2015.